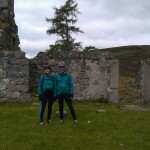 Starting with a 11.5k cycle from Linn of Dee carpark up Allt an t-Seilich, with a brief stop at Bynack Lodge. Fun cycle up towards the watershed. 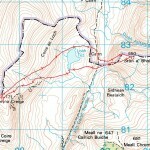 Changed to running shoes and off up to Coire na Creige, passing Loch Tilt on the way. Interesting to see there is only 1 contour line stopping Loch Tilt drain towards the Dee. Surprised a heard of red deer on the way up. Descent across the marshy ground on the outlet of Glen Tilt, then down a gully and across the glen to go up to Sron a Bhoididh. 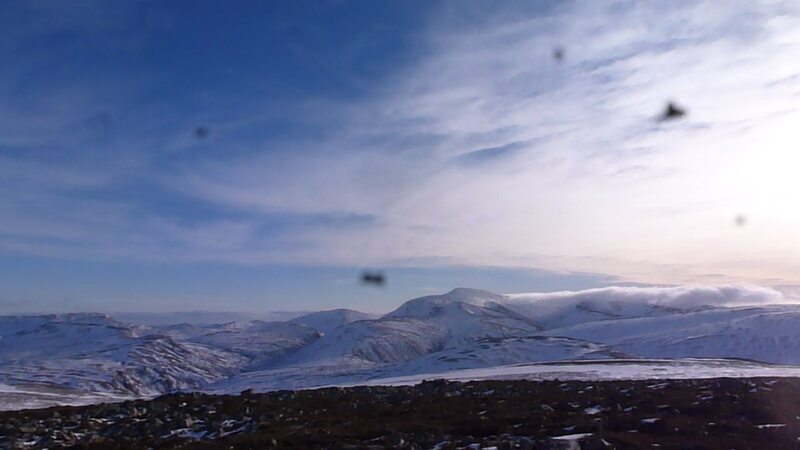 Good view north to Lairig Ghru. Quick descent and back to the bike, for an even more fun ride back to White Bridge and a divert to see the Chest of Dee. 32k total in about 5 hours, including 8k on foot. This entry was posted in cp1, cp11, cp2, cp3 and tagged Warren on October 12, 2015 by site_admin. An early (and chilly) start on Sunday to the Linn of Dee, where I struggled to find a parking place. Then off on the bike in bright sun up to White Bridge and down to Bynack Lodge, the burns so low that I was able to cross without wet feet. 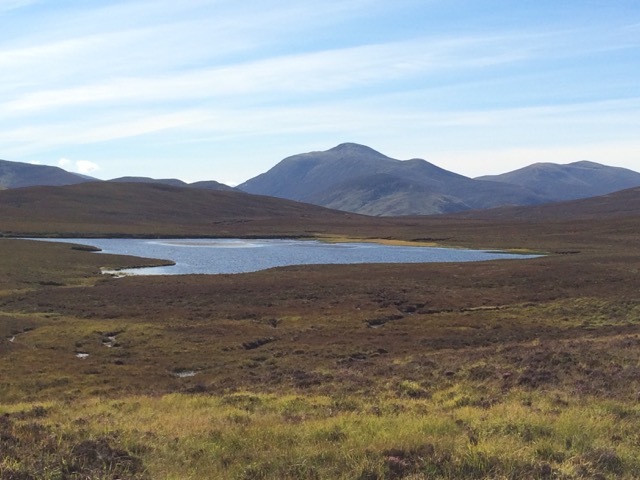 I stayed on the bike beyond there until the track narrowed, then headed along to the watershed and up the steep but shortish Sron a’ Bhoididh. Stags were roaring all up and down the glen as I retraced my steps and up the other side to Coire na Creige, past Loch Tilt. Half way up I crested a ridge and there was a golden eagle. Spectacular! Great views on the summit, but I didn’t hang about too long as time was getting on. 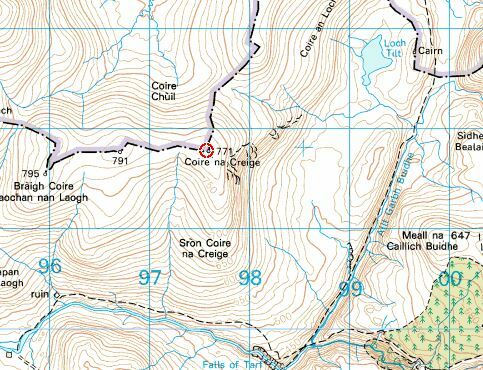 I returned by following the loch edge and going west of the hill with the cairn, which was a short cut, and back to the Linn. 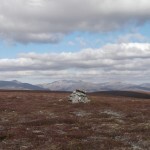 I saw jay, raven, red grouse, buzzard, golden eagle and lots of red deer. This entry was posted in cp1, cp2, cp3 and tagged Phil on October 5, 2015 by site_admin. 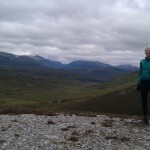 Avoided the Tarland Show races by biking from the Linn of Dee to the top of Glen Tilt then running (well, sort of) the two hills to the east and west of the watershed. I’ve not been up these hills before. There is a fabulous view down Glen Tilt from Sron a’Bhoididh, much the lower of the two but very steep sided. 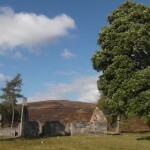 Sron a’Bhoididh means Point of Swearing. I think they mean taking an oath, rather than cursing, but it is very steep. The whole trip took about 3 hours 30, divided equally between running and biking. This entry was posted in cp1, cp2, cp3 and tagged DaveH on August 8, 2015 by site_admin. Parked at Linn of Dee and cycled in and over White Bridge and headed for Byvack. The Geldie then has to be forded and the width, amount of water, and rounded pebble bed meant coming off the bikes. 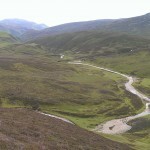 There are then a couple of fords of the seilich before reaching Byvack. 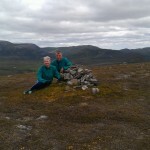 Our picture taken by some estate workers out counting grouse ready for the 12th. Word is that the wet spring has held back numbers. Choice between very wet ground or fording the stream again to head south. The track continues as cycleable land-rover track for a while before reducing to single-track. As a through route from Atholl, this is all suitable for getting a bike through but it is currently very wet and boggy so we parked up the bikes soon after reaching the single-track. On by foot and headed for a southern flank ascent of Sron a Bhoididh (crossing more water). 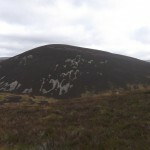 A steep heathery ascent initially then short heather across the tops to the cp. Back down to the track and up the western side to skirt the south side of Loch Tilt heading for our third cp Coire na Creige. Great views south of the county boundary but we soon turn back north to God’s country and head home (and the many rivers to cross – again). This entry was posted in cp1, cp2, cp3 and tagged D&E on July 31, 2015 by site_admin. A truely great day, only 1 fall trying to ski downhill without clicking heels in.. idiotic thing to do at cp3. (as in long way from warmth). Waved at cp 11 on passing but no wish to ski in dark meant not claiming it.Promise i didn’t know it was cp1 and thank to Steph for giving directions as wasn’t where I was palnning to go. Short story re roads not cleared of snow. This entry was posted in cp1, cp3 and tagged Duncan on February 5, 2015 by site_admin.